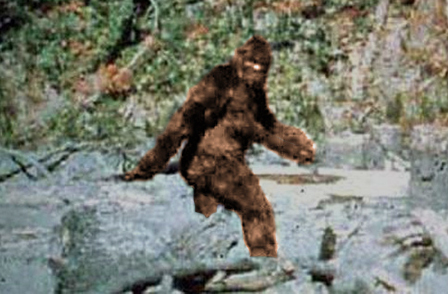 The Non-Review has recently been on an extended assignment to try to track down many legendary creatures, and then confirm or deny their existence. Well, it has been a rousing success. 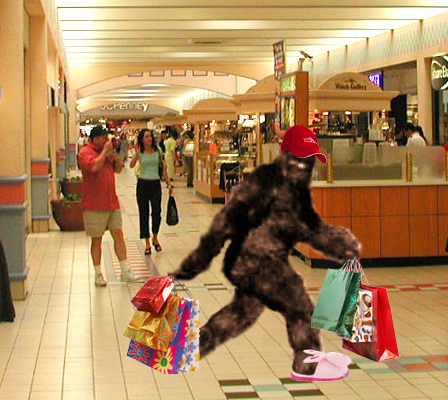 Proof of Bigfoot is in the proof we just proved. You can't argue with that. I saw that dude at the mall last week! I would swear he was the guy at the car wash yesterday...freakity!!! He was eating up all the Jack Links. Well, he has his furry armour for the coming winter handy. 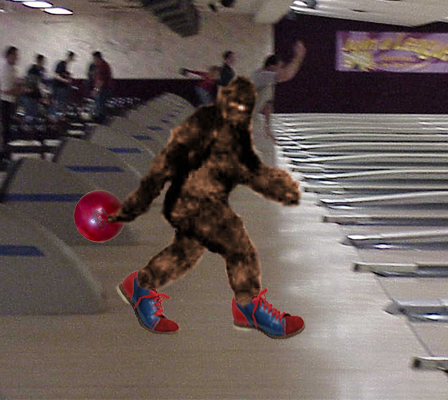 I thought it was bigfoot I saw bowling last week. He bowled a 260. He brought his own ball and everything. 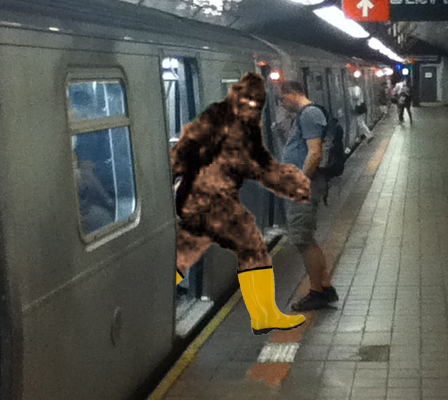 The funniest part is the guy NOT taking a pic of Bigfoot.